The Observatory International’s search consultants will find the best agencies for you wherever in the world you go to market. Selecting communications partners is one of the most important decisions a marketer makes. 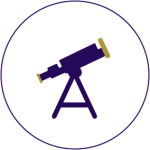 The Observatory International’s rigorous search and selection process provides marketers with both a qualitative and quantitative framework to review current and prospective agency partners. Our consultants in eleven countries around the world have been running successful pitches for our clients for over 25 years – so we’ve probably experienced every scenario that you might be facing. We offer a seamless search and selection service regardless of location, leveraging our collective knowledge and experience. Our approach identifies and matches your needs with agency capabilities, culture and location. It maintains objectivity, saves valuable management time and provides a framework for an appropriate compensation structure. Our search and selection process systematically reduces a broad list of candidate agencies to identify the best fit for you in term of credentials, experience and chemistry. With a focus on usable results the vast majority of strategic and creative work generated during a The Observatory International review is produced and used. Our approach has been proven over time and against a full range of clients, locations, categories and agency disciplines from ATL to digital, PR and beyond. We can tailor our approach without sacrificing quality of the process or results.